Celebrate the 4th of July this year in historic and beautiful Savannah Georgia. There are many wonderful and family fun activities starting on July 1, some of which go all weekend long. Here is a list of events around the Savannah area which we hope you will come and be a part of. Great American Weekend - Amble along Rousakis Riverfront Plaza enjoying the sights and sounds while browsing exhibitor booths of art and chatting with the artists themselves. Food concessions available. July 4th Weekend at Old Fort Jackson - Visit Old Fort Jackson and step into the shoes of the soldiers that were stationed here during the Revolutionary War, War of 1812, and the Civil War. Celebrate July 4th at Tricentennial Park - Listen to a reading of the Declaration of Independence and learn about the 1779 Battle of Savannah. Steam train rides and activities continue at the Georgia State Railroad Museum. 6th Annual Patriotic Big Band Salute - Savannah Swings! - Jeremy Davis and the Fabulous Equinox Orchestra and our amazing cast of singers, featuring Clay Johnson, will be in full swing at the Savannah Theater on July 4 for one fantastic show. We will be honoring our American military heroes with a patriotic big band salute. A portion of the proceeds will go to benefit the next phase of Savannah WWII "A World Apart" monument on River Street. July 4th Celebration - Celebrate good times with a patriotic decorating contest (pets, yourself, your bikes, etc. ), hayrides, crafts, a greased pole climb and other challenges. Fireworks Spectacular - Fireworks from River Street. July 4th Fireworks Cruise - Celebrate our nation's independence on the Savannah River Queen and the Georgia Queen! On this 1 1/2 hour cruise, enjoy the music of our riverboat DJ who will be spinning all of your favorite tunes! The highlight of the evening will be the spectacular waterfront fireworks display. Visit the Georgia Historical Society during your 2011 summer vacation for great vacation ideas throughout the Peach State. The Georgia Historical Society has many wonderful ideas from Civil War commemoration events and festivals to road trips along its 2,000+ Historical Marker routes. 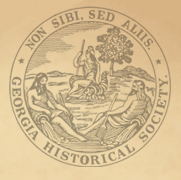 The Society has been publishing Georgia history almost since its founding and remains committed to this vital part of its mission. They are the premier independent statewide institution responsible for collecting, examining, and teaching Georgia history. Chartered by the Georgia General Assembly in 1839, the Georgia Historical Society is the state’s oldest cultural organization and first and only statewide historical society with offices in Savannah & Atlanta ready to serve you. 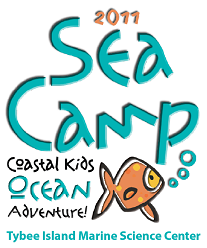 The Tybee Island Marine Science Center 2011 Sea Camp is here and there is still time to get your kids signed up! The Tybee Island Marine Science Center offers great educational & fun programs for visitiors, student groups and Boy & Girl Scouts troops where the classroom is not only inside the Center, but can be on the beach, in the marsh or at the Coastal Georgia Gallery. The Mini-Beach Explorers is for ages 4-5. The Coastal Adventure is for those age 6-8. The Marine Quest is for kids ages 9-11. Click here for a Sea Camp brochure in PDF format to read more about each camp, costs and session dates. Roundhouse Railroad Museum 2011 Summer Camps in Savannah are coming up soon! The summer camps offer fun opportunities for young children and their families to enjoy learning together. The camps are themed and age appropriate and have included trains and life in Savannah during the colonial times and the 1800's. 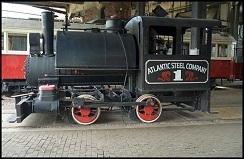 The Roundhouse Railroad Museum, Old Fort Jackson, Battlefield Park and the Savannah History Museum provide the perfect environment to learn more about Savannah. 'Get On Board' is a camp for children ages 3-5 years. 'The Great Train Exploration' is for kids rising 1st - 3rd grades and 'Deerskins, Rice and Cotton: Life in Early Savannah' is for grades rising 1st - 5th. Click here for more information including the 2011 Summer Camp Guide and Registration Form.